The thing with this map is that if you don't feed all party members with heat resistance food, every step would bring their HP down a tiny bit. It's not going to kill them quickly but it is a little annoying. If I remember correctly, Lidia knows her way here. When the game progresses to a certain point, she'll say she can help you out. Nothing will happen at the entrance of this map when you bring her along however. It requires Lidia to be close enough to, say, the ruin entrance, to be able to trigger the event. Also, one of the materials Elias needs for the item he wants to make can be found here. Again, I didn't write it down when I was playing but I think it's something about Desert Lizard. The boss here is Almer Baron. It has strong resistance to Fire, Wind, and Earth elements, weak against Ice element. 哇, 您真的 post了.呵呵, 謝謝哦. western desert 還真的很大呢. 怪不得地一次機入時,找不到出口. 要能解開 ruin 是跟什麼有關? 還記得麼? And lidia was still alive. anyone know what needs to happen to unlock the ruins? NVM it finally nlocked. For those of you also trying to figure this out, once you have won the master league and gotten invited to ccook in the castle, the queen will faint. A couple days later they have you come back to the castle and tell you two of the ingredients they have figured out. A day or two after that when you open the bar a cutsecene will appear with Seila lamenting not knowing the ingredients. Lidia will then tell her she knows one of them is in the desert ruins. after that have lidia in your party and you are free to go there. You need to click on all the switches once and it should open up the path for you. Enna, how to get the access to the baron almer? He's the only monster left in my book. You need to bring Tequila with you to be able to go through the storm. That should be enough I think. I see you are still responding to people here, so thought I would ask something. I'm having a hard time opening up the desert city. I just made the queen the life soup, and have brought tequila and lydia with me, but I keep getting the message that I can not get past the storm. Not sureif because I never recruited elias, or what, but any advice would be good. It sounds like things happened in different orders between our games. If you haven't got Elias, it means that you haven't spoken to Alfine enough. The desert city of guid becomes available when your rival decides to buy all spices and you have trouble getting any in the city. Lydia will then show up and tell you she knows how to get to the desert city. The story is sort of linked to Alfine since the city has something Alfine wants to eat. I reckon it's a good idea to finish Alfine's part of story line. Once you are in the desert city, speak to the vendor, then she'll tell you the monster in the desert is the reason why shop spice stock is low. After that, you can bring Tequila to the desert and stop the sandstorm. Good luck! Hi Enna, Elias need another material "Venom Spider", can u tell me where to find it? He said "they prefer dark and moldy places." That one is in the small room on top of the bar. HI, what is the meaning of " Dwarf Fortress" ? Hi, I was wondering if you knew how to navigate through the floor with these portals underneath the first floor in the ruins. hey enna, just wondering about how the elias quest is activated. i have elias in my party, i gave alfine the rose cake, and then there was essentially no progression. do you remember how you get elias to ask you to get the materials? I only remember it was about the time Siela was close to becoming a Royal Chef. I think it's related to the bar rank though. I did talk to Alfine and Elias everyday in case they might say something different. Enna, where can i get desert rose, and i've completed alfine's storyline until when she said she's not the top student.But i never get elias even when i get platinum league, can you help me? As for getting Elias, you probably need to speak to Alfine at the right time. Just try finding her everyday to talk to. Elias should show up soon. Also, have you leveled up Alfine? I remember Elias got really frustrated being behind Alfine in class and asked if he can join to help him become better. Hope you'll get him soon. Enna, i have a question... I am stuck for 1MONTH in adventure bar, please can you tell me what i will unlock after desert city, there are never any events this far... And how can i possibly unlock it, please i appreciate it. I've got to convince some friends to play this game so I don't have to go through the game a second time to remember all these. :p Thanks for coming back and share your findings. Enna,how do i get into sandstrom? 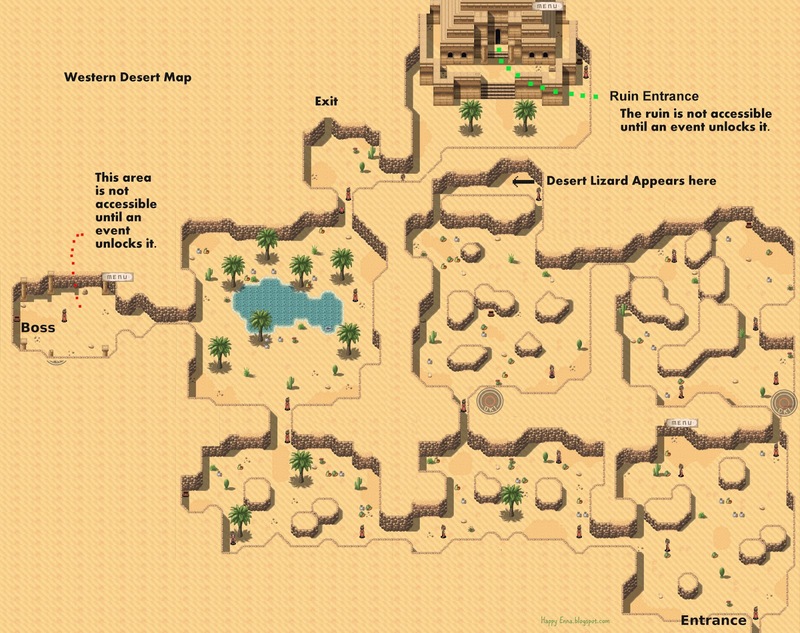 enna I dont know how to get pass the desert temple? Hey enna pls help me. I got questions here, I'm at the part where Fred told me that queen is sick and I'm currently at r8 bar. How can I rank up fast and what do I do from here to keep the story on? And I'm in the platinum league. When do I get to be royal cook? Please help me.. Anyone please. I just got Lidia to help me with the spice issue and went to the desert. Right after selecting the desert on the world map, Lidia brings you directly to the desert City. You do not have to go through the desert first. Enna i went to otts cave but i didnt find golden puzzle.. where should i go to find it?